In AICM, you will be required to sign up for a QBank, USMLE World particularly; and you are required to complete at least 50% of the Qbank before finishing the semester. They require you to start the Qbank after the USMLE Step 1 prep review and at the beginning of the rotations of AICM. There are around 2100 questions from USMLE World QBank and completing 50% of it in 2 months is possible but with full concentration. However, in AICM you are required to complete around 1050 questions, which is 50% of the Qbank, with clinical rotations. In clinical rotations you will have to do presentations for each rotations, you will be at the hospital majority of the day, plus you are required to do overnight on calls for Internal Medicine rotation, and USMLE World is a very difficult Qbank. USMLE World requires a person full concentration and commitment to successfully get the most out of the Qbank. One of my friends, who was on dean’s list in Bonaire, took an entire day to do one block of the QBank because of the extreme difficulty of the questions. AICM Schedule includes the first 2 months of USMLE Step 1 review in a classroom, then the next 2 months the students do orientation and clinical rotations in the clinical floor. With rotations one cannot complete 1050 questions and fully get through the explanations. The only way to get through the questions is to blindly and randomly click answers so the AICM instructor sees that you are doing the questions. By blindly clicking on the questions you are just satisfying the teacher and you’re wasting your money because you are required to pay for USMLE World questions which goes from $99 for 30 days to $400 for one year. 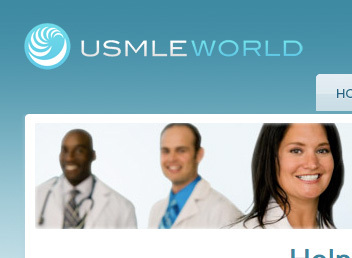 My advice to the upcoming MD4 students is to do USMLE World questions starting from MD4. You will have a lot of time in MD4 semester because MD4 classes not as difficult as MD3 classes. Most MD4 students in SJSM make the mistake of relaxing in the last semester because the hardest semester is over. 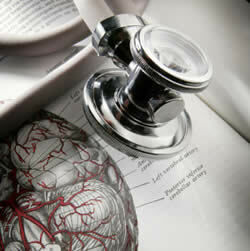 However, MD4 semester is a perfect opportunity to get started in being better prepared than the previous students. If you are consistent with USMLE World questions then you can finish all of it before MD4 semester is over. If you just do 20 questions a day from USMLE World, and thoroughly go over the answers and explanations then you will have time to study for MD4 classes plus enjoy having fun in the last four months in Bonaire/Anguilla. For upcoming AICM students, if you have at least 2 months before AICM semester begins, then finish on round of USMLE World questions for Step 1, and trust me you won’t regret it. By doing so you will be able to go over the questions faster in AICM and you will satisfy the requirement for a grade and you will get the most out of it. If you finish USMLE World questions in Bonaire or Anguilla, then the USMLE Step 1 review in AICM will be very effective in helping you because it will be a very good review. However, if you don’t do the questions then the USMLE review will be a waste of your time, and you have no choice about it because you have to attend it for a grade. If I knew then what I know now I would not have wasted so much time on the island twiddling my thumbs; therefore, take my advice and start early. I write these blog posts to help my fellow students in SJSM because no one else does; that’s why I take the time to write them because valuable information can make or break a student. The information is presented to you so, it’s up to you to use it, good luck. A year from today I was on the plane back to the United States of America. I was one of the happiest and relived persons among my classmates. I only had 4 hours of sleep that day because of all the time I spent having fun the night before and packing to leave. The day before we had the white coat ceremony and saying goodbye to everyone who I saw for 16 months took time. Since I have been back, I developed regrets from my experience in Bonaire. I know it’s been a year but I still think about the little good times I had and if I knew then what I know now I would make the best of my stay in Bonaire. I didn’t get out as much. I was too worried about getting A’s in Bonaire, but at the end of the day grades in Bonaire didn’t matter, it was as if you passed or not. I didn’t make enough friends. Living in Bonaire is a one in a lifetime experience and you learn a lot when you intermix with other people of different backgrounds. I didn’t enjoy the island. The island is one of a kind, and there are somethings on the island that you will not find anywhere else in the world. If you missed out all the fun you had on the island then you should also regret it. I advise my readers to learn from my regrets and enjoy your time in Bonaire so you don’t have the same regrets as me. I know studying medicine is a serious matter, but life is short and enjoy as much as you can. You have to sacrifice at least 7 years to become a practicing physician in the US, and so take every opportunity you can get to have fun.